Established in 1975, DX provides next day delivery services for mail, parcels and heavier items requiring 2-Man services. They deliver in excess of 200 million items per year for both public and private sector companies to both businesses and residential addresses nationwide. 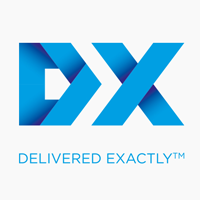 In March 2012, DX acquired Nightfreight, the market leader for irregular dimension and weight freight in the UK B2B and B2C markets with over 7 million deliveries per annum. Nightfreight, subsequently named DX Freight, was an under invested and poorly performing business that DX acquired as a turnaround opportunity. This gave DX access to one of the fastest growing areas of the distribution market as well as offering longer term operational efficiencies and synergies.